"My name is Jackie and I do outreach for the Mesothelioma Cancer Alliance, a leading web resource for Mesothelioma cancer. I have always had a passion for fashion, from shoes to makeup, nail polish to handbags, and everything in between! Coupled with that is belief that all women need to feel beautiful, no matter what circumstances they may be facing. Women are powerful beings and WE need to realize it! Sadly, many women are hearing those devastating words 'you have cancer.' 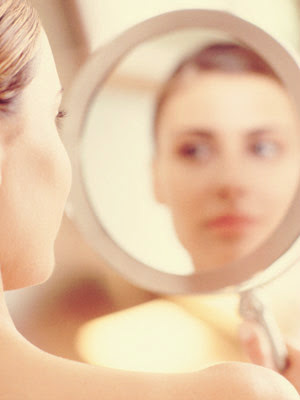 Despite a cancer diagnosis, women can still feel beautiful in their own skin. Fashion is a wonderful way to feel strong and confident. I would like to share with your audience the reality of cancer and how women can say 'YES I have cancer', but I am no less beautiful than I was before my diagnosis." To be honest, before reading this I have never even heard of Mesothelioma. Of course, I Googled it and found out it is "a rare form of cancer that develops from transformed cell originating in the mesothelium, the protective lining that covers many of the internal organs of the body. It is usually caused by exposure to asbestos. You know, I've never really thought about what women go through when they are diagnosed with cancer, and how they deal with their physical appearance. I'm lucky that I don't know anyone personally who has every had cancer and I don't know how they deal with superficial things like their outer beauty, clothes and makeup etc. I know there are many of my readers, who just like me, don't know much about this subject, and I thought it would be interesting for Jackie to guest post on my blog, and share some of her insights on how women with cancer can still feel feminine after going through cancer treatment. A woman's fight against cancer is a private one. She should be able to face the world with beauty and confidence despite her ongoing internal struggle. Even if no one else is aware of a woman's Mesothelioma diagnosis, inner pain is often visible on the surface. One way to fight back against cancer is to refuse to let it take away one's outer beauty. Fashion and makeup may seem like superficial solutions to a serious medical problem, but a woman's ability to maintain some control over her body is integral when so much of what is happening to her is out of her hands. Mesothelioma due to asbestos exposure takes away one's bodily autonomy, especially after the prognosis from a doctor mandates an invasive treatment of radiation or chemotherapy. A woman may experience weight loss, hair loss and other uncontrollable changes in her outward experience. Hair is so interwoven with a woman's identity that its loss may make her feel like less of a woman. Clothes, wigs, scarves and makeup can help women hold onto their femininity and playfulness when so much of their lives are consumed by pain and fear. Women who have been diagnosed with Mesothelioma should take extra care to only use makeup that is natural and organic; all preservatives and contaminants should be avoided at all costs. There are many different kinds of mineral makeups available these days. Organic mineral foundations offer the smoothness and coverage of liquid foundations without weighing down the skin and clogging pores. Similarly, clothing can be a great aid in enabling a woman with Mesothelioma to maintain her grace and composure in public spaces. Hairpieces, scarves and trendy hats are great ways to hide thinning hair or experiment with a fresh new style. Cancer may attempt to destroy a woman's femininity, but she can fight back in small, healthy ways by controlling the way she looks. Every woman is beautiful and it is important to realize that a cancer diagnosis can’t take a woman’s beauty away from her. Such a useful blog post, and so important to spread awareness! Here, in California, they run ads for Mesothelioma quite frequently, so, I aware of it, but it is always good to become more educated! This is a great blog post. We just had Relay for Life at my college campus, which is a huge event that raises money to cure cancer. It's great to be aware of cancer forms like Mesothelioma and spread the word. What an amazing post! I love reading about things that haven't affected me directly yet are so important to know! I work with kids/teens who have cancer and it's very interesting and sad to see how it affects them. Wow thanks for sharing this. While I don't have cancer, I have another disease which effects appearance and self esteem. I'd love to share it with you, let me know what you think: http://www.islandmeetscity.com/2012/01/feel-beautiful-autoimmune-condition/ it's about feeling beautiful when you have an autoimmune disease.